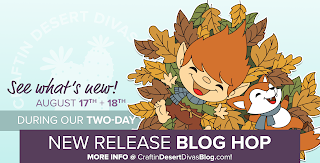 Welcome to the Craftin Desert Divas Blog! I'm so excited about the August release! Crisp leaves, fall friends and more make this release fabulous! Once you are done hopping, head over to the Craftin Desert Divas shop to snag your special discount 5% off through 8/19. My card is created on a white card base. (5 X 5) square- I created this fabulous background using the Bright Horizons Stencil and distress inks. 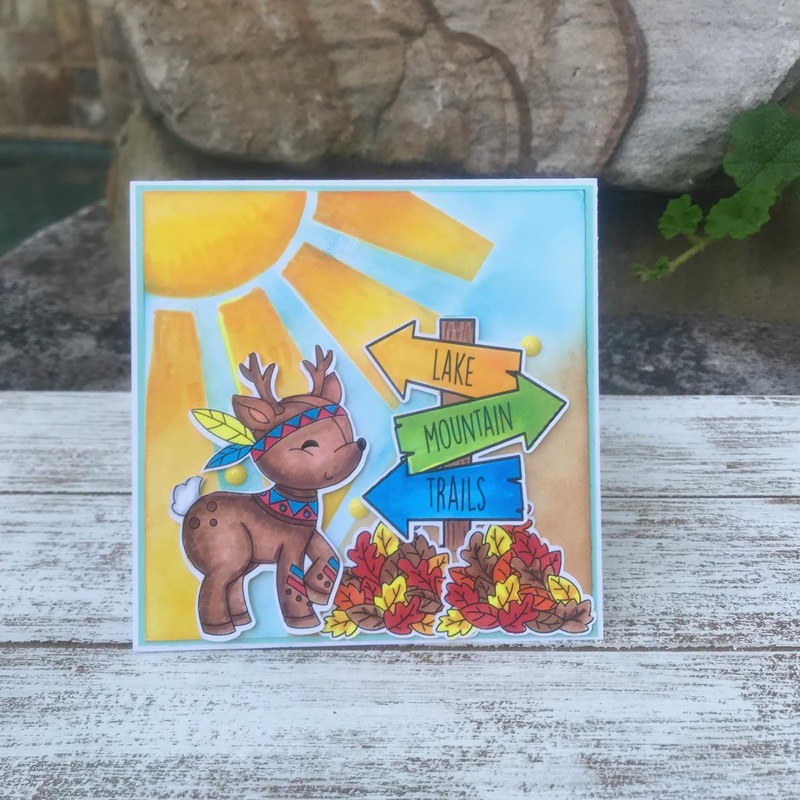 The fabulous little Tribal Deer Digital Stamp is printed and then colored with Copic Markers. I just love him! The lake sign is from the Outdoor Camping Digital Stamp Set and the leaves are from Outdoor Tribal Digital Stamp Set. I mounted the complete card front on a piece of blue card stock. Wink of Stella and a few enamel dots were added to complete my card. I think this little guy looks like he is off for a new adventure! Don't forget to hop along and see what the other DT members have created using these fantastic new stamps and digital stamps! Have fun! Continue the hop to see what Anna created. Check out her fabulous card! 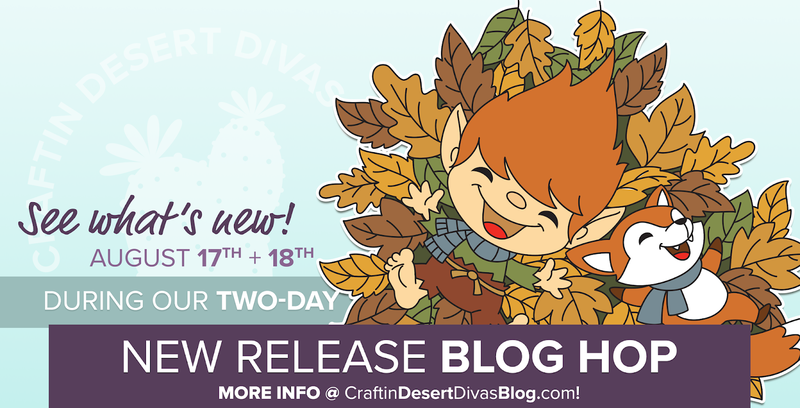 This is a two day blog hop so stop back tomorrow for another day of wonderful inspiration! Thanks for stopping by today! Leave a comment and let me know your thoughts! Oh so cute!! Great card! Love this, Claire!! The scene is fabulous!! Amazing scene! Such a wonderful card! So cute!!! I love that big sun!!!! Super cute card. Love that little deer! So cute! <3 Love your colouring! Sweet scene. Love the detailing on these digis.